Hmm. 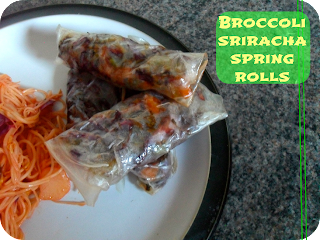 When I came across the recipe for broccoli and sriracha spring rolls on FoodDoodles, I was intrigued. Not least because I thought spring rolls were hard to make. Based on this recipe, nothing could be further from the truth, beyond the RSI from chopping the veggies teeny tiny. 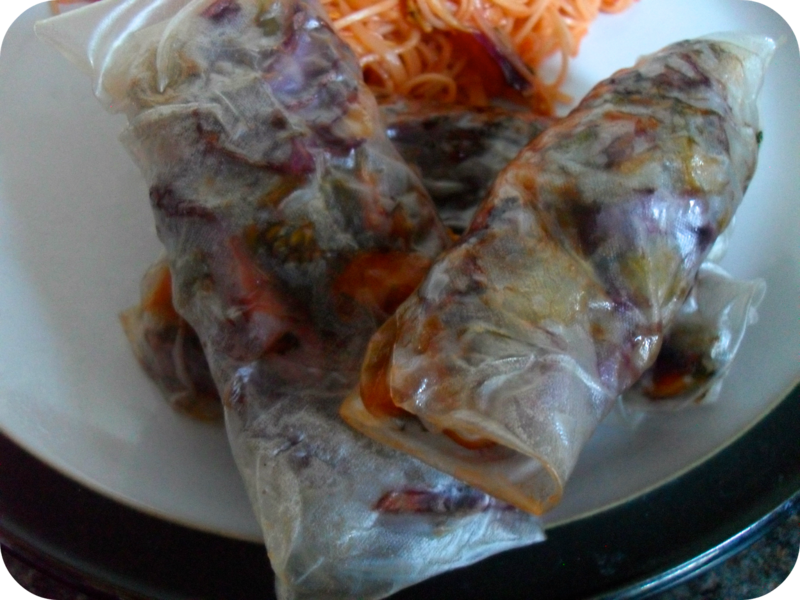 I got my spring roll wrappers from Ocado (Blue Dragon brand) - they were rice ones and I think this was a bit of a mistake - these see through parcels weren't quite what I was looking for. 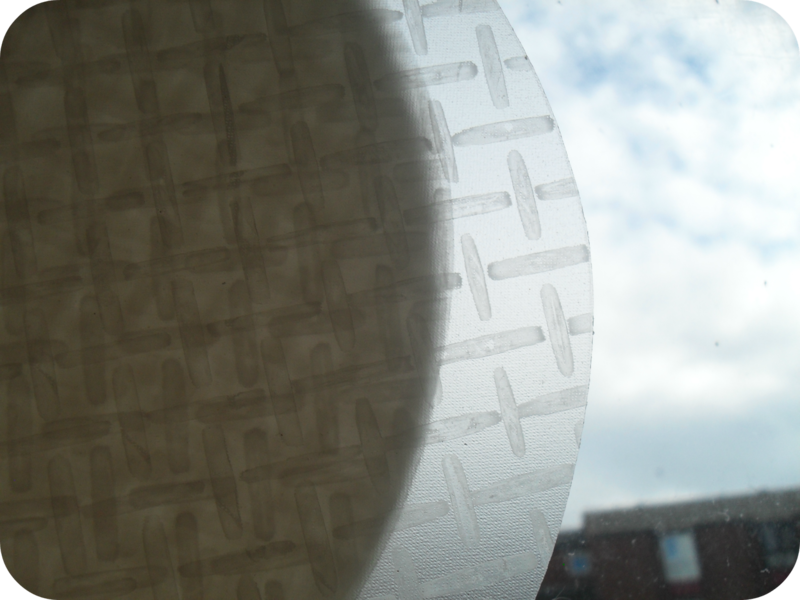 Check out the thin rice wrappers! The edges of the rolls came out crunchy, the middle a little chewy. I'm going to give this recipe a try again but steam them, as suggested on the packet. Ocado accidentally sent me two sets of the wrappers, so more reason to do it. D wasn't sure about them but did pick away at bits of one, declaring that he liked the broccoli and the crunchy bits on the ends. Both husband and I put these away quite successfully. These wrappers didn't need the flour as they stuck together like glue. I halved the ingredients from the original recipe and only used 12 wrappers. I used tenderstem broccoli and the florets as well as the stems. This mixture was a little short for the packages - I'll bump up to 600g next time. I'm also going to try to find the proper spring roll wrappers. I had four of the rolls and this came to 7 propoints. For 11 propoints, this was an epic meal.